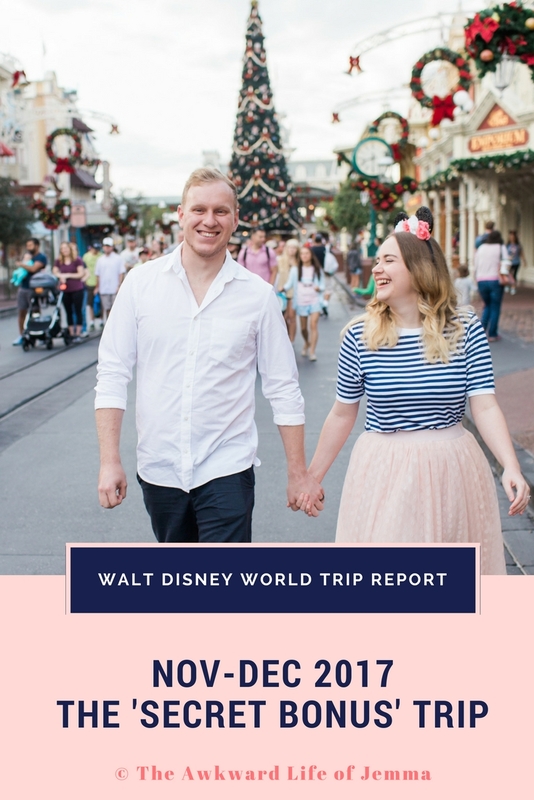 Trip Report | 4 Parks 1 Day & Christmas Special Recording! 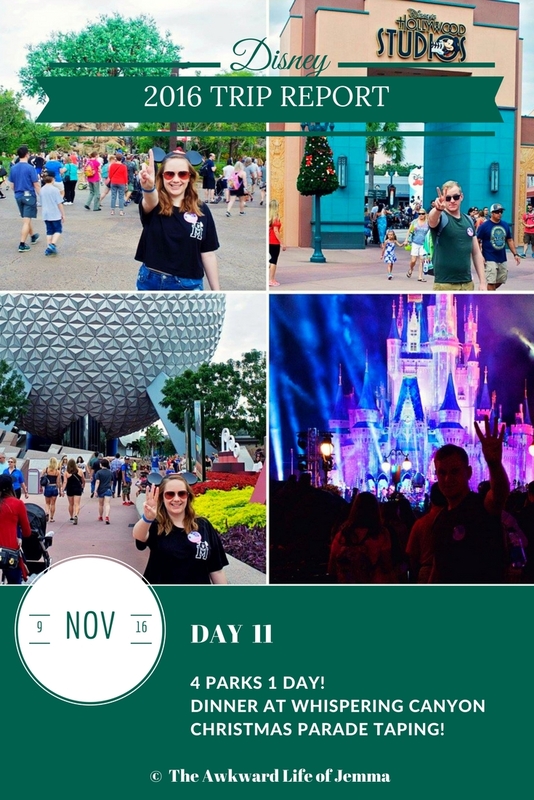 Today we planned to take on the 4 Parks 1 Day challenge! 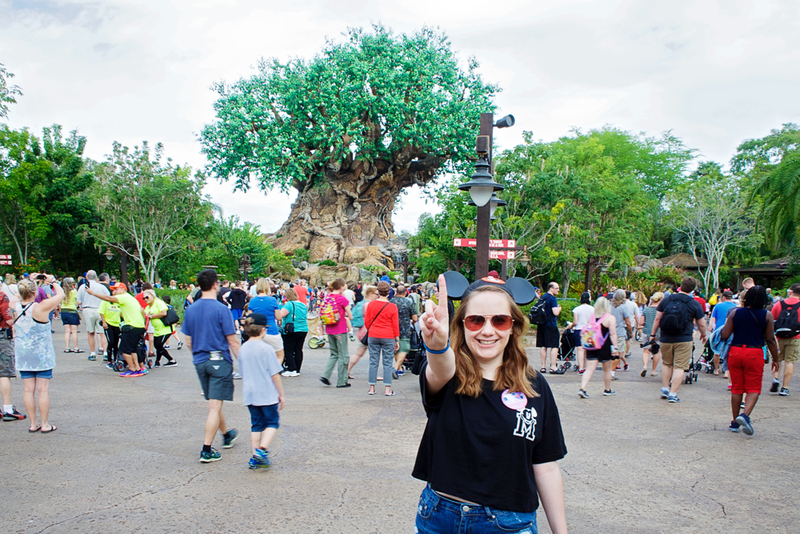 We got up a little bit later than usual but we still arrived at Animal Kingdom by 10am. 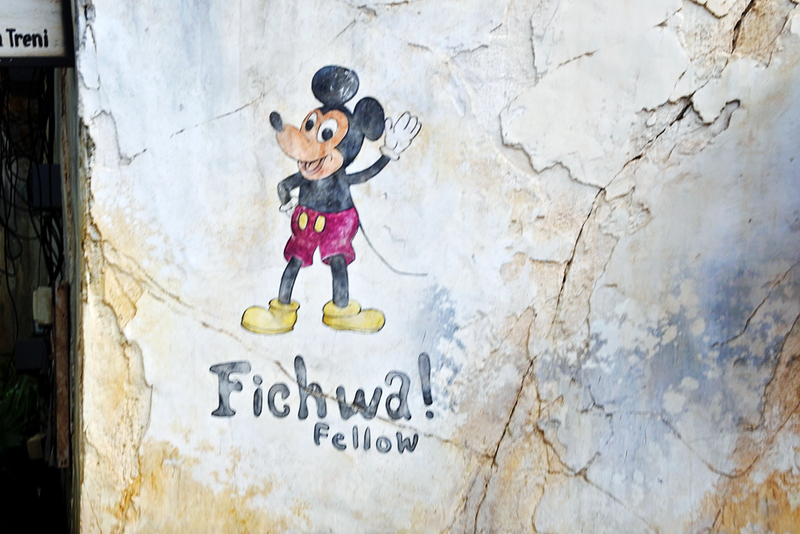 As we were walking over to Expedition Everest for our first ride of the day we started checking the My Disney Experience app and we were able to score a Fastpass+ for 5 minutes time instead of waiting in the standby line so we were on the ride in next to no time! Following our yeti encounter we used another Fastpass+ for a ride we hadn't done yet this trip, Primeval Whirl! Once we'd tapped in Harry started looking at the app again and this time was able to get us a Fastpass+ for Toy Story Midway Mania to use once we'd park hopped. 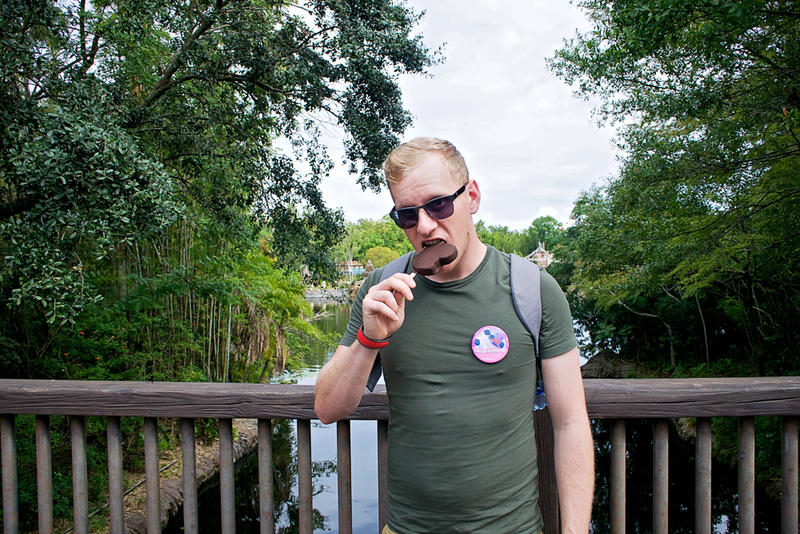 Having been shunted and spun around by the spinning rollercoaster we decided it was time for a snack so I picked up an 'Olaf' frozen stawberry lemonade ice lolly ($3.75) and Harry had his first Mickey Premium bar ($4.15) as we still had 12 snack credits left and only 3 days to use them! 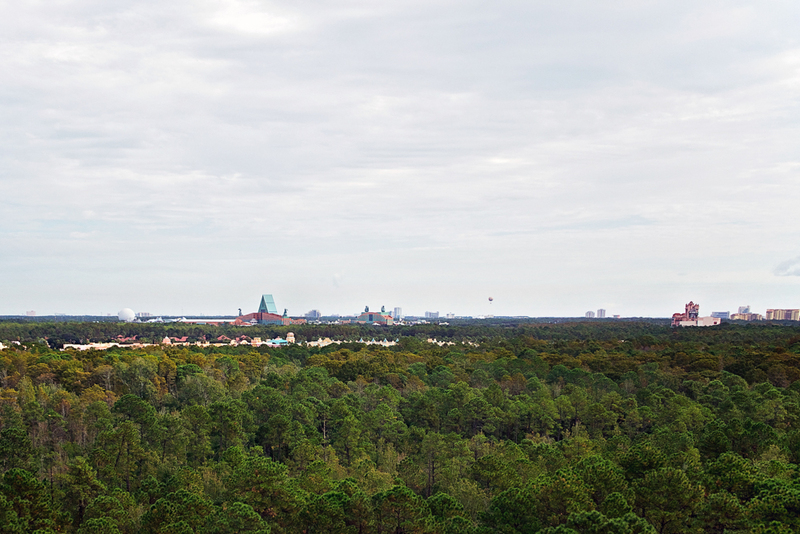 We then made our way our of Dinoland to the opposite end of the park to Africa to do something else we hadn't done yet this trip, Rafiki's Planet Watch. You'd be forgiven if you just went "huh? What's that?" because this attraction is really easy to miss and truth be told there's not much there. 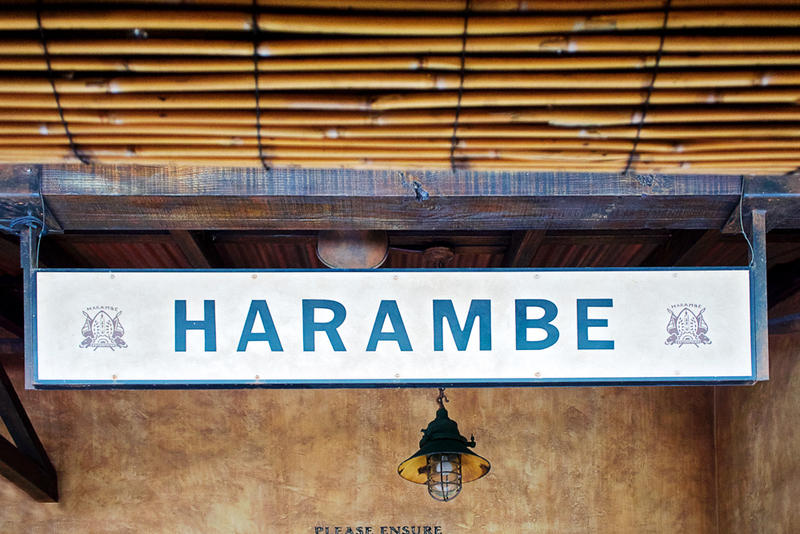 Tucked away at the back of Africa is the Harambe station. 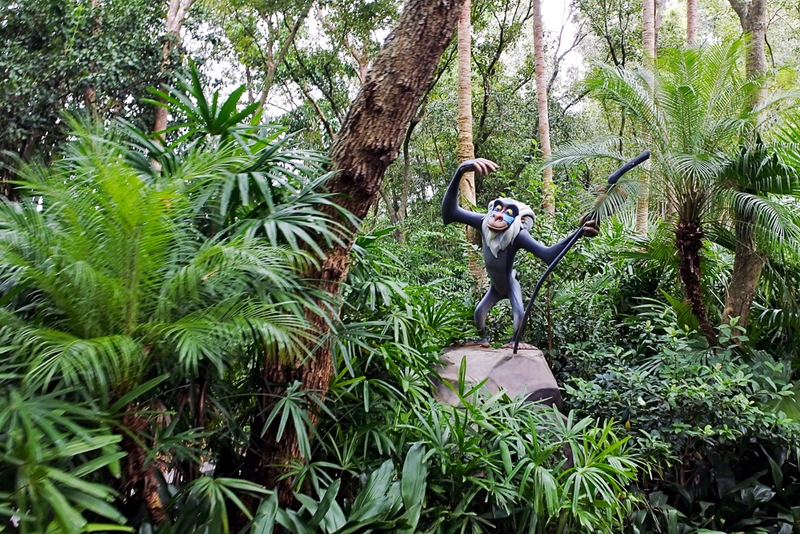 From there you can catch the Wildlife Express train to the area known as Rafiki's Planet Watch. The train isn't like one you'd have seen elsewhere at Walt Disney World because all of the seating in the carriages faces outwards in one direction rather than facing forward in the direction you're travelling. 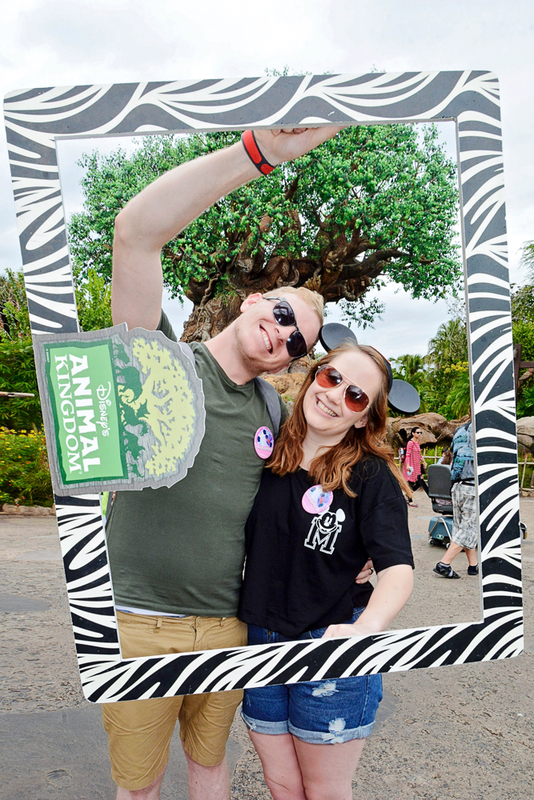 The reason for this is because you travel past some of the backstage areas where the safari animals are cared for, so it acts as a slow-moving observation tour. Once you arrive the animal conservation theme continues with lots of information about varies different creatures and the chance to meet experts along the trail leading to the Conservation Station and Affection Section. There you can get up close to some goats if that's your thing or possibly meet some creepy crawlies, birds or reptiles inside. There's also huge windows looking into the veterinary area so there's a chance to see animals being rehabilitated. One of the other main draws though is character meet and greets! Just as we were walking in we spotted Chip and Dale with hardly any wait. 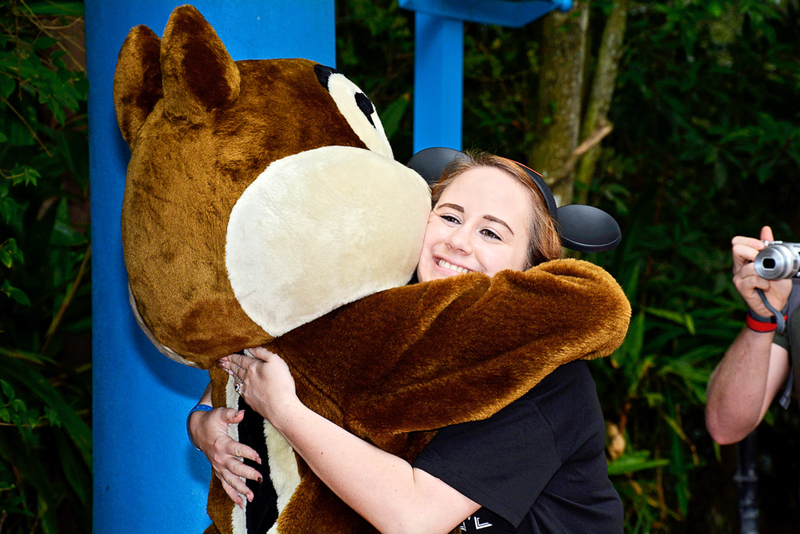 I was so excited to meet them and chat about all the acorns that I'd seen around Walt Disney World, even having some fall on my head (I guess that's why they call it the 'Fall'). 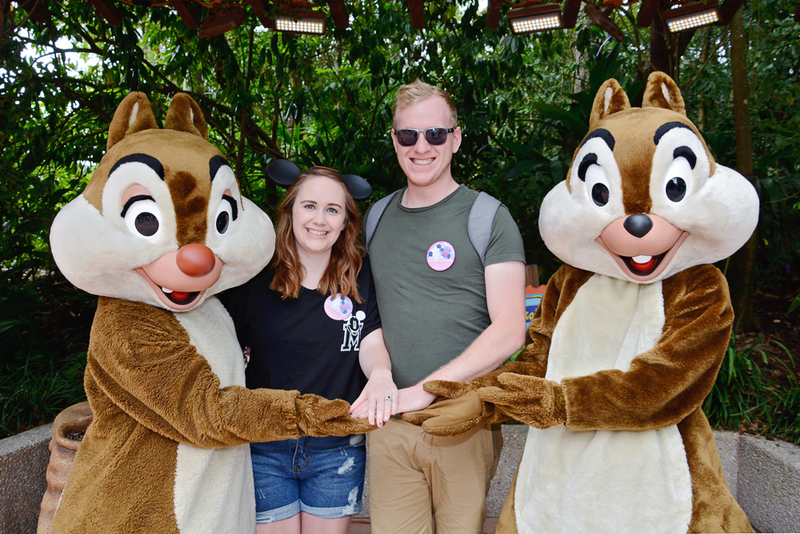 Dale was of course happy to eat up all the acorns but Chip was far more interested in looking good for the camera and in my engagement ring than acorn chat and I can't say I blame him! 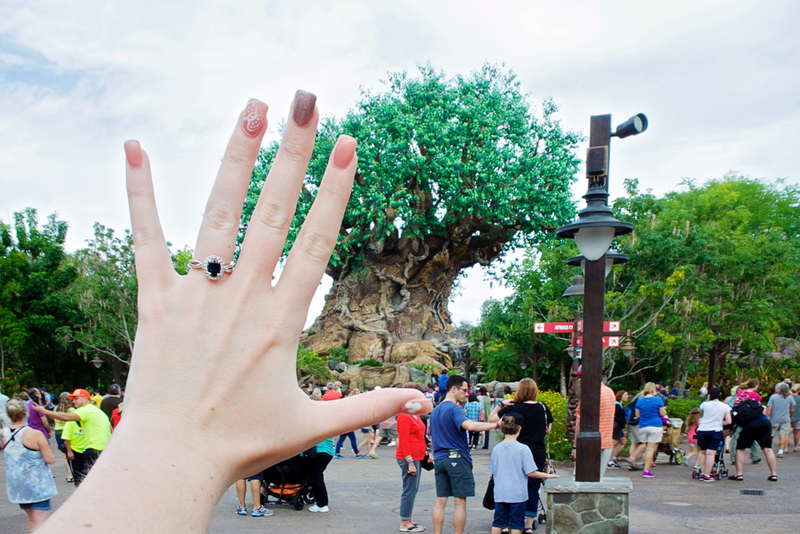 Once he'd got a look at my ring and pointed it out Dale was pretty astonished by it too! Luckily they all agreed that Harry had done a great job picking it out. When it was time to pose for a photo they were really sweet and took my hands to make sure the ring was in prime position too. I absolutely love meeting the chipmunks, they are always so much fun together. Afterwards we had a quick look in the Conservation Station, where we saw a cast member who'd brought out a bearded dragon, but we didn't hang around for too long afterwards as we still had 3 more parks to get to so we caught the next train back to Harambe. 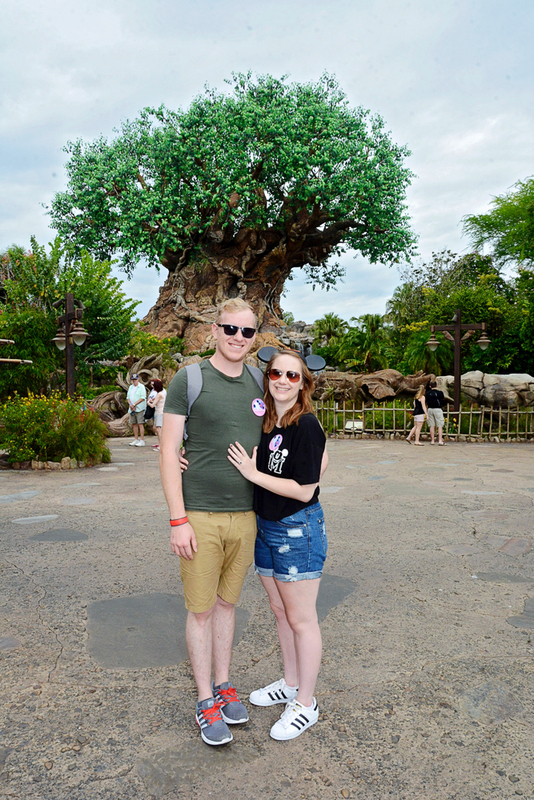 We couldn't leave without posing for some photos in front of the Tree of Life! Our Photopass photographer was particularly friendly and took loads of photos of us in different poses which was fun. He even used our fingers to spell out the word 'L-O-V-E' with one of our Just Engaged buttons! 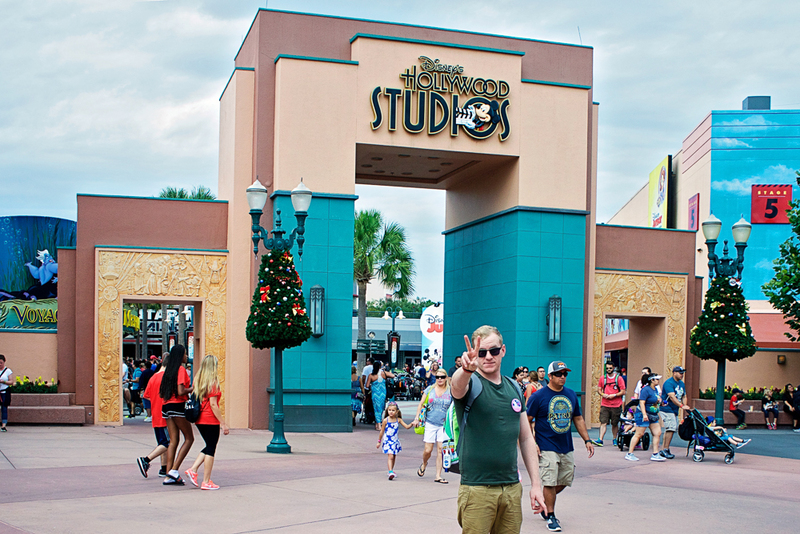 Having spent a productive morning at the Animal Kingdom and ticking off some of the rides we hadn't done yet this trip it was time to head over for a quick trip to Hollywood Studios. It had been freshly decorated for Christmas since our last visit with lots of tinsel adorning Hollywood and Sunset Boulevards so it looked really retro and festive. First on the agenda was that Fastpass+ for Toy Story Midway Mania where I seemed to a bit better than previously but still no cat prize for me. Afterwards we stopped to watch some street entertainment where a film crew were attempting to film a commercial and I popped into Sweet Spells to pick up a Carrot Cake Cookie ($3.99) which was a bit more like a flattened sponge cake but it was moist and sweet and carrot cake should be. Next we cheered for the 'Light' side over on Hollywood Boulevard as the First Order marched past us (still such a simple 'show' but so effective!) 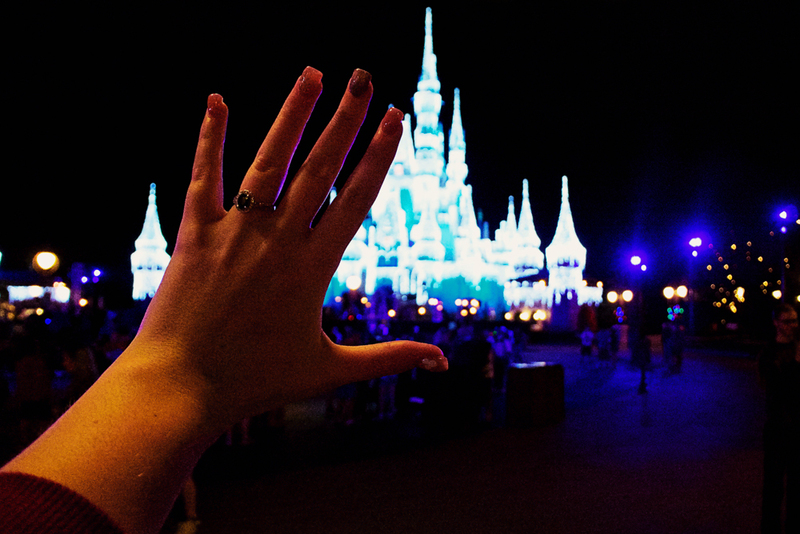 and as we left it seemed like every cast member wanted to congratulate us on our engagement or have a chat, everyone is so friendly at Disney! 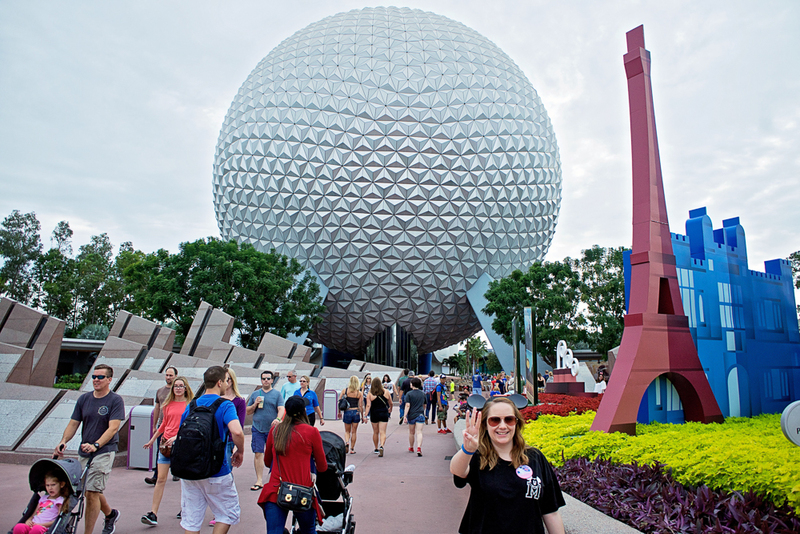 Our next stop was Epcot so we posed in front of Spaceship Earth before walking over to Ellen's Energy Adventure as we'd never done it before. There was no real wait so we just stood waiting for the pre-show film, listening to the repeated warnings that this is a 45 minute ride with no exit, before being shown in to the vehicles. The idea is that Ellen DeGeneres is losing a game of Jeopardy to her old high school nemesis, who is now a scientist, because she knows nothing about energy. Her dream takes us back to the dinosaur age, in cars that move a bit like the Great Movie Ride, and the rest of the ride plays out on big screens until Ellen is completely clued up on renewable energy sources. It's no real surprise that this ride isn't exactly popular but the dinosaur animatronics were really cool and luckily Ellen is really entertaining. 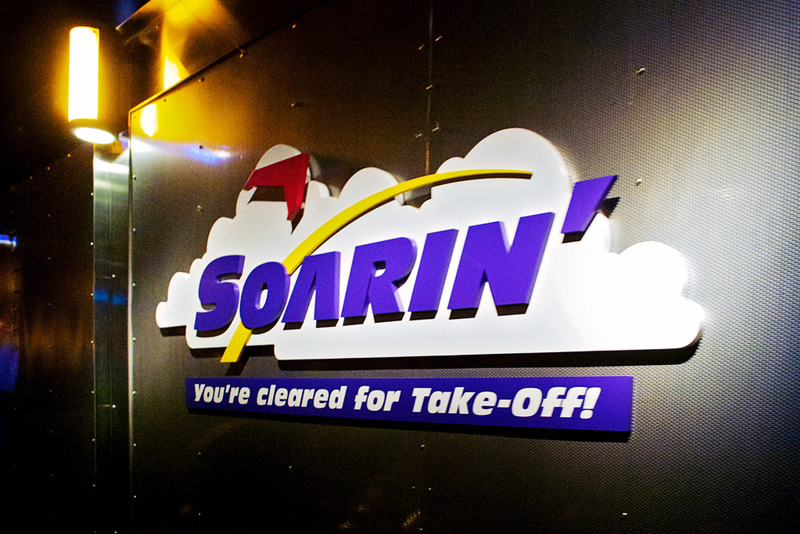 Following our nearly hour long nap ride we stopped by Club Cool as we felt the need for some refreshment and then it was time to ride Soarin'. It was our second time seeing the new version and we still really enjoyed it although we do miss some of the original scenes like the golf ball! 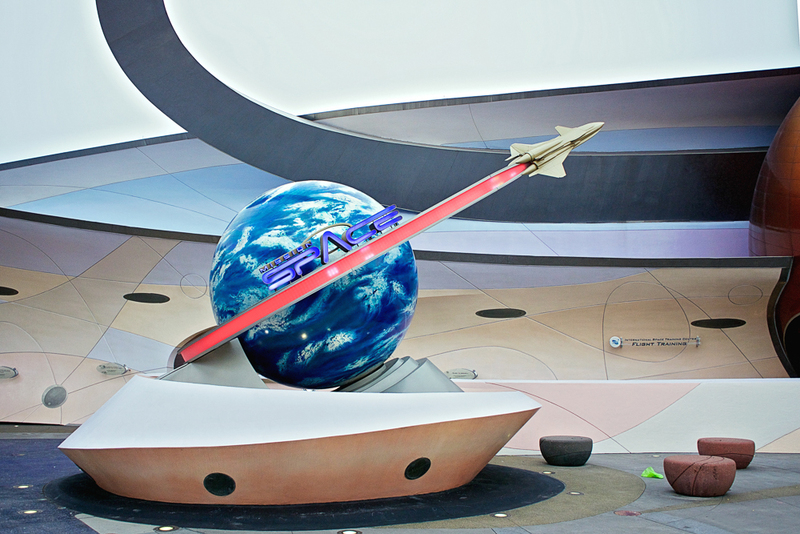 As the theme for our 4 Parks 1 Day challenge seemed to be rides we hadn't done yet we decided to do yet another one while at Epcot; Mission Space. Of course it helps to pick rides that have a short wait! I'm really not keen on doing the Orange (Intense) side and Harry didn't want to do it alone so we opted for the Green. Harry was the commander for our mission and I was the engineer so we were both primed for pushing our buttons when directed. The interactive element of having a role and your own buttons to push gives you something to focus on and make it a little bit more fun, especially for kids. The low-intensity version doesn't move much at all, only tilting a little bit back and forth, but the capsule is a little tight with the screens and buttons very close in front of you. Harry found it a little bit dull and would've preferred the intense version but I think I would find it too nauseating and feel more claustrophobic inside with the movement on top. Having ticked off everything that we wanted to do at Epcot it was time to get ready for dinner. Anticipating a late night at Magic Kingdom we grabbed some warmer clothes to change into. 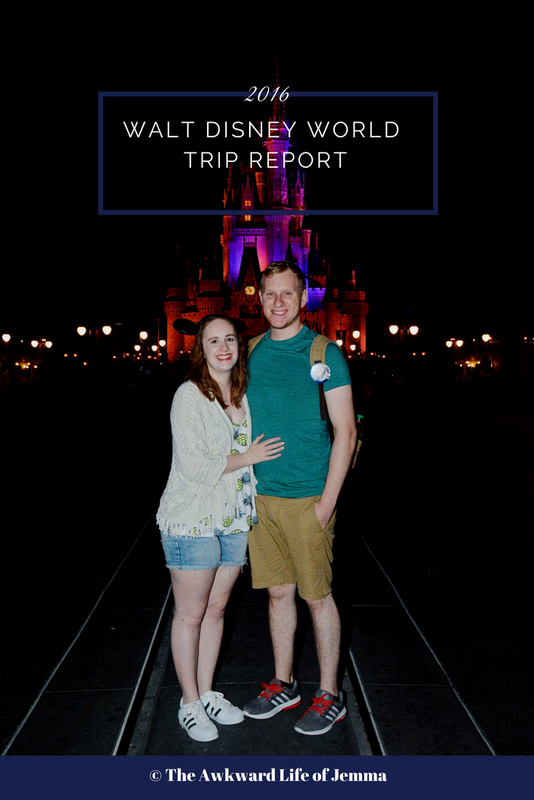 I was beginning to feel a bit ill and tired by the time we reached the Wilderness Lodge so I'd taken my contact lenses out and put on glasses and my Walt Disney World sweater. We had a little while before our ADR, and it turned out that Whispering Canyon Cafe is actually right next to the entrance of the hotel, so we spent a bit of time looking around the lobby. It's themed like a National Park lodge with lots of timber and even has a little stream starting in the lobby and running outside to the pool. It was very dark outside while we were there so we'd like to go back and see it in the daytime at some point. Dinner was a bit of a mixed bag for us. The restaurant is known its hijinks with lots silliness, hobby horse races, 'sassy' service and noisy kids. Sadly we weren't really feeling it as we had both started to get colds (or 'Disney Flu' as I call it, a variation on 'Freshers Flu!) so when they gave us a card with a red side to 'watch' and a green side to 'join in' we flipped it to the red. Our server was funny, chucking a handful of straws over his shoulder at us instead of giving us two for our drinks, but also inattentive, so we didn't get any refills, but we were left unsure if that was just part of the act. We both got the All-You-Care-To-Enjoy skillet which comes with salad and cornbread followed by a platter of ribs, chicken, beef, pulled pork, sausages cowboy beans, mash and veg. Our highlights were the ribs, mash and beef which were delicious. If you go to Whispering Canyon you should get this, it was really good comfort food and came out really quickly. Dessert was tricky as we weren't given any menus so just picked something from the list our server reeled off really quickly. I got the apple pie which was served cold which I found disappointing and Harry got a molten chocolate cake which was better. ($88.89 + tax & tip). After dinner we left the Wilderness Lodge to drive just down the road to our final park of the day, Magic Kingdom! We arrived after Wishes was scheduled to finish but the park was still really busy. 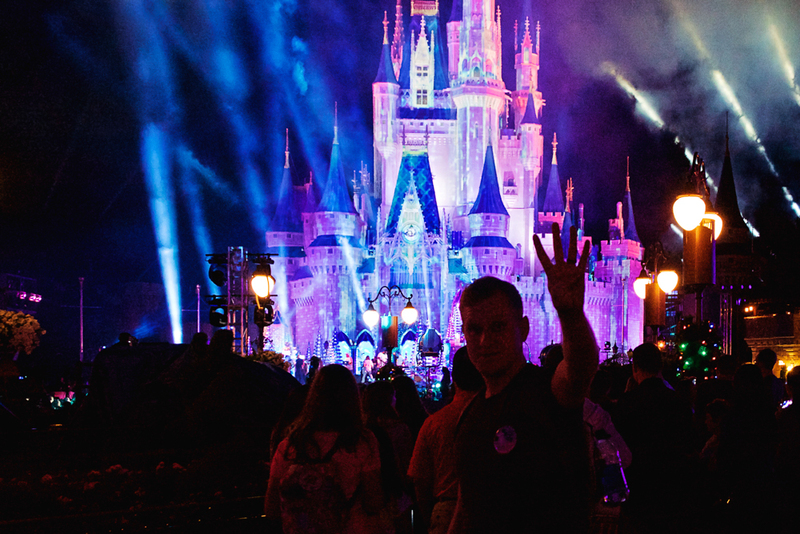 What we hadn't known was that they were filming for the Christmas TV special that night so they'd put up a stage, lights and sectioned off a crowd in front of Cinderella Castle. We didn't linger as there's a lot of setting up and rehearsal so there wasn't much to see yet. Instead we went into Tomorrowland as we had a Fastpass+ for Buzz Lightyear and Harry promised he would do his best to help me! I'm still not a Galactic Hero but I did much better with Harry teaching me where to shoot. 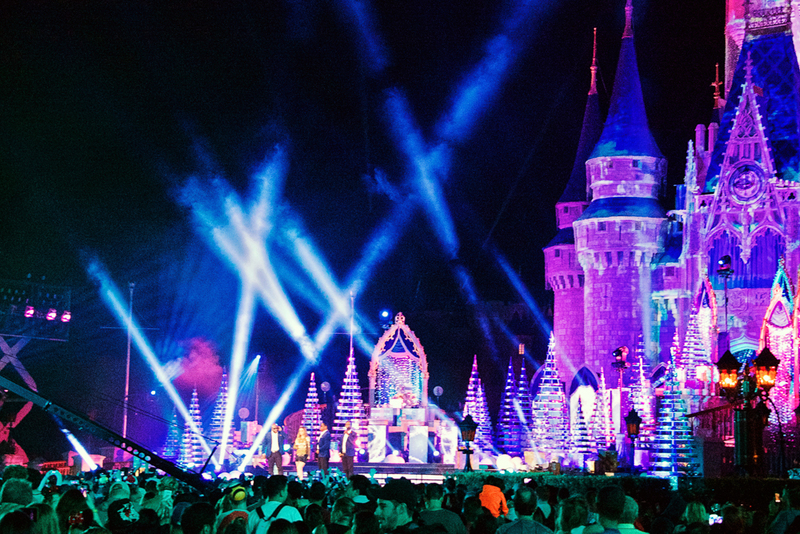 Next we headed back over to the castle and this time we stopped to watch Flo Rida perform 'My House' which was a lot of fun even though we were just on the outskirts and not in the crowd. We also picked up a smoothie from Starbucks ($4.49) and our last You Are Here mug and then sat on the curb waiting for Boys II Men to come on with JoJo. It's funny because a lot of the time they were just standing around in silence until the audience were directed to cheer as they started filming! By now it was time for Extra Magic Hours so we opted to do a few more rides in Tomorrowland before we called it a day. We took a leisurely cruise on the Speedway with Harry trying his best to drive as smoothly as possible, and a then a quick spin on Astro Orbiter. Seeing the whole of Magic Kingdom and the Contemporary resort lit up at night from above has become one of my favourite things to do! I'd seriously recommend it as by then a lot of the kids have gone home for the day too. Now with the clock gone midnight it was finally time to go home and we were so tired ended the vlog before we even made it back to our room.